The Mule appears in an aspect ratio of approximately 2.40:1 on this Blu-ray Disc. This turned into a largely appealing presentation. In terms of palette, Mule emphasized a mix of light teal and amber. These hues didn’t dazzle but they felt appropriate for the story at hand. Blacks looked dark and dense, while shadows felt smooth and concise. I thought we got a well-rendered transfer. A featurette called Nobody Runs Forever lasts 10 minutes, 59 seconds and includes comments from actor/director Clint Eastwood, producers Tim Moore and Kristina Rivera, screenwriter Nick Schenk, production designer Kevin Ishioka, property master Mike Sexton, camera operator/2nd unit director Stephen S. Campanelli, supervising location manager Patrick Mignano, costume designer Deborah Hopper, and actors Ignacio Serricchio, Andy Garcia, Alison Eastwood, Bradley Cooper, Laurence Fishburne, and Michael Pena. 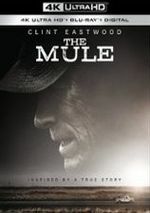 Clint Eastwood returns to acting for the first time in six years as the lead in The Mule. While his performance enlivens a potentially trite affair, the movie’s shift from comedy to drama hobbles its overall level of success. 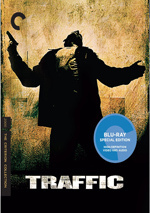 The Blu-ray brings positive picture and audio but supplements remain minor. 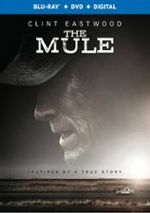 The Mule deserves a look but don’t expect consistency from it.